Bucolic and quiet, St. Michaels is a beautiful waterfront destination, especially on sunny spring and summer days. Located in Talbot County, Maryland, this town was named for the Episcopal Parish located there in the 1600’s. Initially a trading post for tobacco farmers and trappers, and a shipbuilding town, many of the homes date to the seventeen and eighteen hundreds. Incorporated in 1804, St. Michaels is laid out around a central square. Home to the Chesapeake Bay Maritime Museum, the town boasts a beautiful screw-pile lighthouse: the Hooper Strait Lighthouse (though this is not the lighthouse’s original home). This particular type of lighthouse was easy, inexpensive, and quick to construct. The screw-piles were used to form the foundation for the lighthouse in soft or sandy river or sea bottoms. 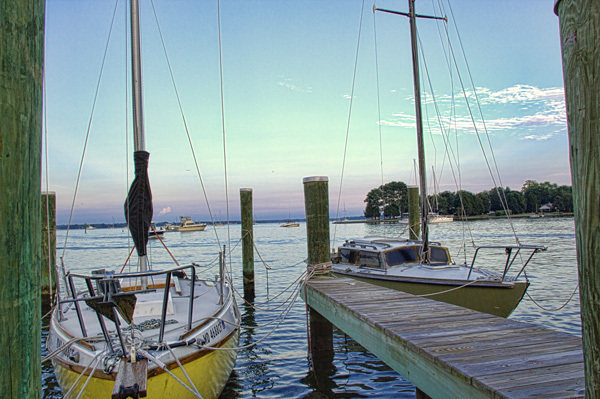 Restaurants, shops, and sailboats are just a few of the things to enjoy in St. Michaels. Visit the St. Michaels website for a calendar of events, and all the information you need for planning a trip to this beautiful spot on the Chesapeake.